Moteurs spéciaux There are 6 products. 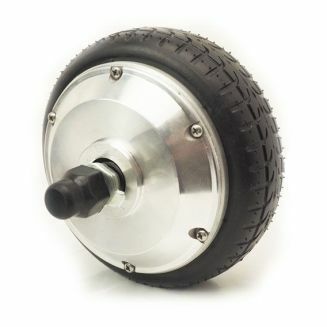 Brushless motor wheel to convert into electric any industrial trolley : Agribusiness (shooters / pushers, refrigerated carts)Industrial (rolling base, industrial serving trolleys pusher puller) Logistics (picking trucks)Power : 800W | Dropout : 100mm. Wheelbarrow motor with a ratio of 1:40. Allows towing up to 120Kg under 24V DC. You will be able to install a standard wheelbarrow 4.80 / 4.00 - 8 tire Weight: 4.7 kg | Diameter: 23 cm | Center distance: 16 cm. Motor for wheelbarrow 48V 1000W. 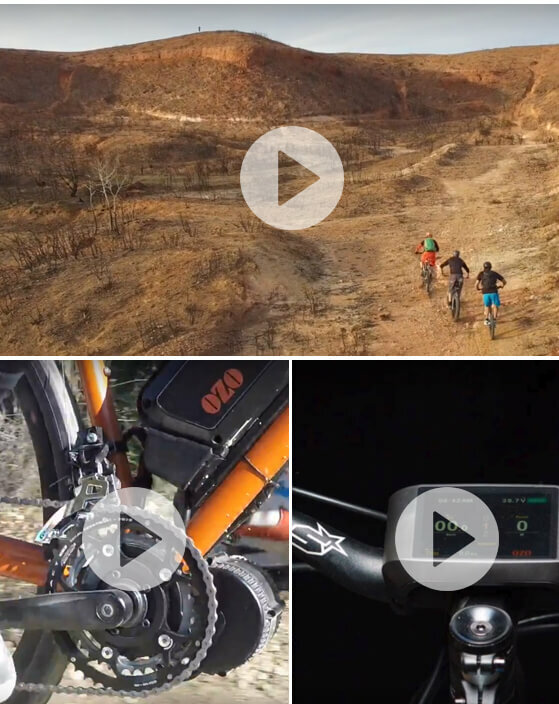 Lifts up to 200 Kg of load. Delivered with standard wheelbarrow tire of 10 "/ 4.00 Weight: 10,5 kg | Outer diameter rim: 272,5mm (standard wheelbarrow 10 ") | Center distance: 170mm. 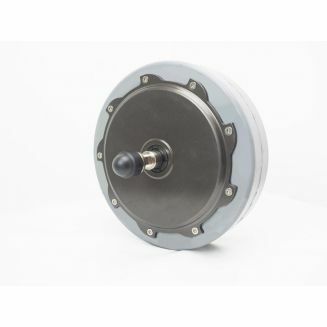 Electric industry and leisure motor wheel 5"